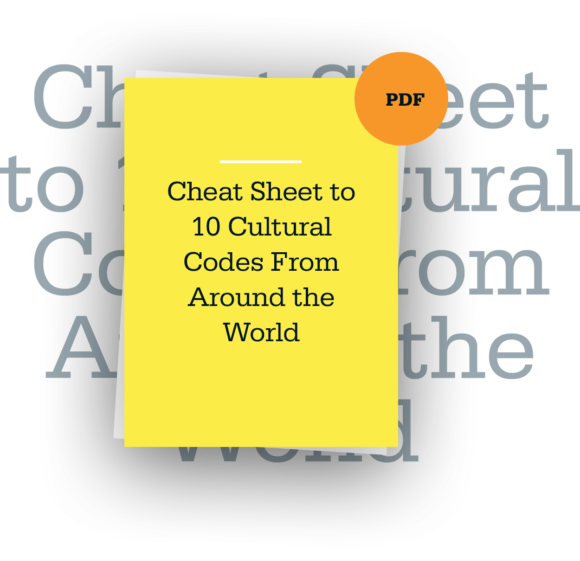 It’s no longer unusual for teams within organizations to span different countries and cultures. While there are many benefits to this, one of the challenges for leaders of these global teams is navigating everyone’s vacation schedules. Employees within a single team may have completely different holiday calendars, laws, and customs. Most people are familiar with their own country’s vacation patterns, but few are fluent in the intricacies of everyone else’s. Managers who are used to vacation occurring in August or over Christmas may find themselves caught off-guard when their team members are suddenly absent in September. When this happens, they may not have the power to permit or deny time off — but they will be left scrambling to keep everything on track. What is a global leader to do? A key step is to understand how different cultures perceive vacation time. Many in the U.S. view time off as a luxury — not a necessity or a right. In a culture with a strong work ethic, some worry that checking out will make them appear lazy. Others feel guilty about the burden their absence will place on already strapped coworkers or question whether it is worth the hassle of catching up on mountains of work upon their return. Those who do take vacation know to seek approval well in advance, and are expected take the initiative to communicate and responsibly plan their time off around existing projects. Even then, many remain tied to their emails or available by phone should anything arise while they are out. But this prevailing mentality is at odds with most other parts of the world. For example, in Poland, where one of us (Melissa) has spent considerable time, people traditionally pass several weeks with family at the seashore, a country cottage, or in the mountains, without checking email or scrambling to wrap up work projects while on holiday. In countries like Germany, the Netherlands, Denmark, and France, it is common to take extended vacations, and their coworkers are simply used to it. In places like France where the entire country goes on holiday at the same time, business simply shuts down — and there is no expectation that anyone pick up the slack. Australia has an even stronger vacation ethos. One of our Australian colleagues tells us that, historically speaking, Australians expected long vacations because it was impossible to go anywhere without substantial time off due to Australia’s remote location. But it is also tied to Australian values, which prioritize relaxation and living life over work. Less driven by individual accomplishment and success for its own sake, few are impressed by martyrs who put in long hours at the office. As a result, there is less pressure to do so. While these differences are culturally-informed, they also exist because of public policy decisions. In the 2013 study No Vacation Nation, the Center for Economic and Policy Research examined paid leave and paid holidays in OECD nations. One of its starkest findings pointed to a dramatic difference between the U.S. and every other economically developed nation: whereas most legally mandate at least 20 paid vacation days (and some even provide more than 35 vacation and holidays combined), the U.S. guarantees a total of zero. It can be irritating for U.S. managers when their team acts entitled to vacations — but in most places, they actually are. Most global managers cognitively grasp that each country has its own time-off practices. But even so, it can be logistically challenging to coherently incorporate divergent rhythms and practices in a way that respects differences while still making sure that the work gets done. Faced with this frustration, global team leaders may fall into a trap of overemphasizing the bad (and demotivating their teams), or feeling like the only solution is to do all the work themselves. Sometimes, it does feel easier to take on more work than to wade into the murky waters of culture. However, this approach is disempowering and can prevent aspiring global team leaders from acquiring the cross-cultural competence and comfort they need to reach the next rung on their own career ladder. It can also hinder their team’s growth and prevent it from reaching its goals. Fortunately, there is a series of productive steps global leaders can take to get projects completed while still respecting other cultures’ practices. First, create a master team schedule. While it may not be possible to pinpoint the exact days people will take vacation, note the period when they will probably be out. Map out the relevant major holidays for each culture you’re interacting with, so you will be better prepared to predict the ebb and flow of work cycles for your diverse team, even if they don’t share their time off in advance. For example, at one global company we’re familiar with, the calendar includes public holidays when each office is closed, and periods — such as Golden Week in Asia Pacific or August in the UK — when people typically take extended vacations. This is particularly important when working across the equator, because summer holidays are taken at opposite times of year. Once you do know the exact days someone will be out, update the calendar accordingly. Next, create a work coverage plan. Get your team involved in this process. For example, a project manager we know who was leading a team with members from three global regions felt increasingly helpless as revolving vacations continually disrupted the workflow. After discussing it with a senior colleague, she put the problem back on the team and invited them to offer suggestions for how they could meet their shared obligations despite being out at various times. The team produced ideas that worked in their own cultures and which the manager may never have come up with on her own. Even better, once they were implemented, they were viewed as legitimate, had broad support, and were easier to uphold. In some cases, the team may not be receptive to co-creating rules for itself. If this happens, put simple processes in place so those who are out can easily catch up and make up missed time. Another manager we know realized that her team was looking to her to run the group; after going in circles trying to get them to self-regulate, she established her own protocols. She asked people to submit their status updates in their absence, either via email or by designating another team member to fill in for them during vacation. She also formalized the minutes-taking process with a template for meetings so that absentees could quickly bring themselves up to speed upon their return. While her own cultural need was for order, timeliness, and regularity, she framed this request in a way that also emphasized the success of the group and the shared obligation they had to one another, thereby helping members from different cultures latch onto its importance. Last, adjust as necessary. Once you have the process and protocols in place, ensure that expectations are followed consistently. Then, if you find yourself with too much work and too few people to do it, you will already have a starting point for addressing the issue. In some cases, vacation times may be flexible; in others, it may be necessary to adjust the timeline of the project. As a team leader, it’s in your best interest to work with your colleagues in a way that produces positive results. But that can be tough when differing cultural expectations on time away interfere with a project’s timeline. Rather than being caught off-guard by cultural differences, managers should proactively find out about their team members’ holiday patterns, and then put a plan in place that keeps the team on track without sacrificing the manager’s sanity. This post originally appeared in Harvard Business Review and was co-authored by Melissa Hahn and myself. Melissa Hahn helps people navigate cultural differences in relocation, education, and family life. She is the author of the intercultural children’s book Luminarias Light the Way (2014). Follow her on Twitter @SonoranHanbok. The first thing most of us do when working with people from a new culture is to learn about differences.